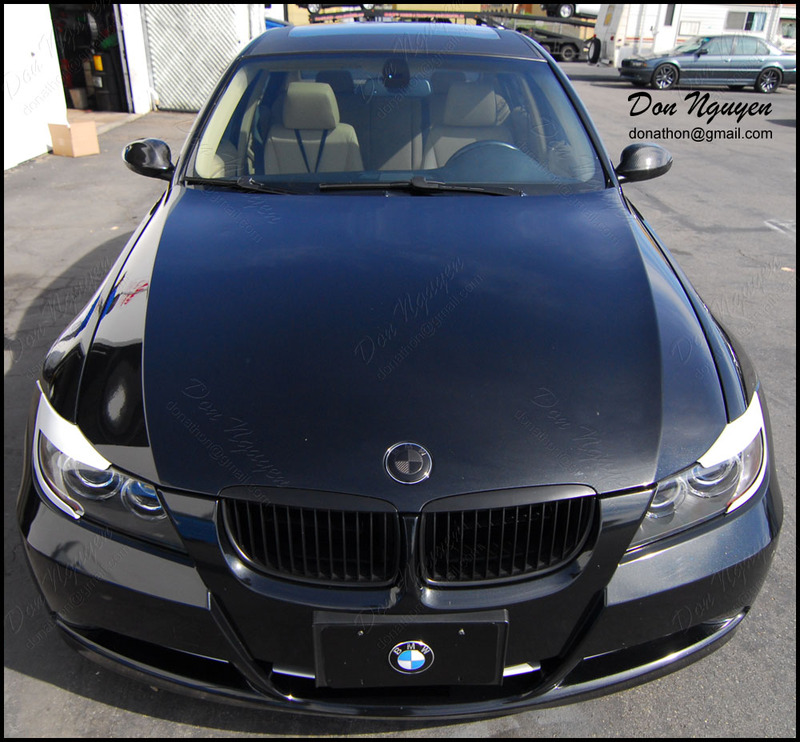 The owner of this black BMW E90 335i sedan had me vinyl wrap the roof of his car in the 3M Di-Noc matte carbon fiber finish. 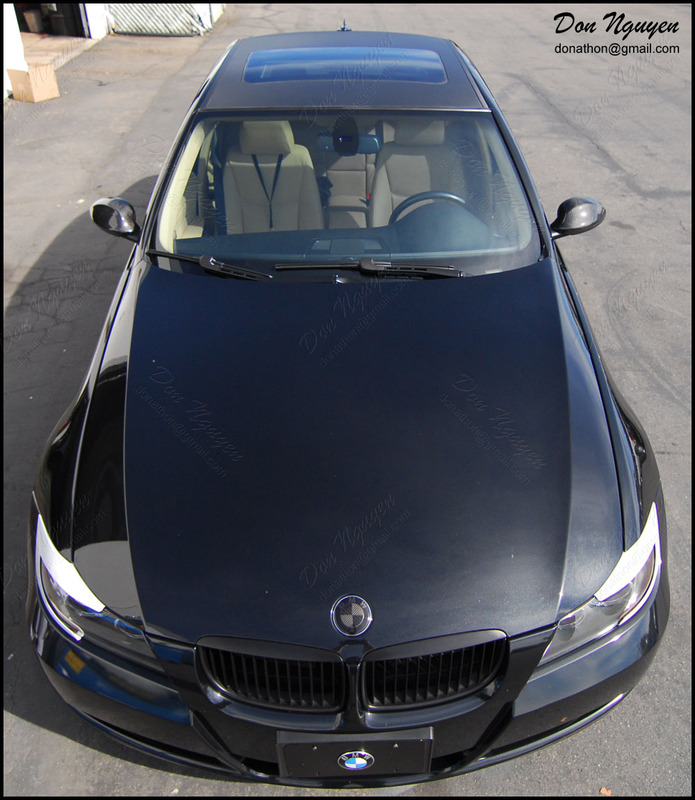 Since the car is black and darker colored, the roof doesn't stand out as much as it would on a white or lighter colored car. The matte carbon fiber gives the car a very subtle effect and look from further away, but the closer you get the to the car, the more you can notice the weave in the carbon fiber on the roof. The owner of this car was from around the Los Angeles area and drove out to me in Orange County to have the vinyl work done.